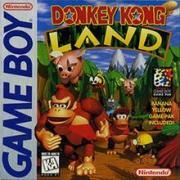 None of the Donkey Kong Land games, while playable by Game Boy platformer standards, are especially worth playing if you have their SNES counterparts. The controls of this game are far less tight compared to its SNES counterpart. Your jumps have little momentum which then leads to rolling jumps being far less effective. Like other handheld platformers, it also suffers camera issues which can lead to some really dumb off-screen deaths. The level design is hit or miss - some are genuinely awful, others are great. A shame that the great levels have to suffer being played under DK Land's mechanics.